I have always wondered how can one say that the “Pure Land is here and now” or in “the mind” if he cannot actually manifest, here and now, the qualities of the Pure Land? Indeed, how can one be in the Pure Land, but continue to be impure in one’s mind and still unenlightened? 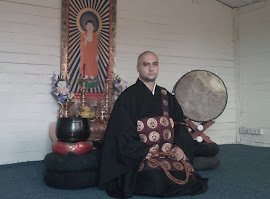 This is clear evidence that such views do not belong to the Dharma Gate of the Pure Land, or to the simple faith oriented teaching of Jodo Shinshu. Do they have the color of pure gold, as promised to those born in the Pure Land in the 3rd Vow? Do they have the same appearance, as promised in the 4th Vow? Unenlightened beings in samsara have various forms and shapes, color and beauty. They differ greatly from one another and this is due to the different types of karma they inherit from past lives. But once they are born in the Pure Land and become Buddhas they are liberated from the shackles of karma and go beyond form, color and any differences. This is what is meant by “all be of one appearance”. To be of the color of pure gold also means to have transcendent bodies of the qualities of Enlightenment. So, again, are those deluded scholars in this situation? “Ananda, the sentient beings born there all fully posses the thirty two physical characteristics of a Great Man as well as perfect wisdom, with which they penetrate deeply into the nature of all dharmas and reach their subtle essence. Their supernatural powers know no obstruction and their physical senses are sharp and clear”. Clearly if we check their samsaric bodies no one claiming that the Pure Land is “here and now” have the “thirty two physical characteristics of a Great Man”. But perhaps they have “perfect wisdom, with which they penetrate deeply into the nature of all dharmas and reach their subtle essence” or some kind of “supernatural powers” which they keep secret from us, ordinary guys with a simple faith? Maybe they all have unlimited life-spans (15th Vow), remember “all their previous lives” and know “the events which occurred during the previous hundred thousand kotis of nayutas of kalpas” (the 5th Vow) or they “possess the divine eye of seeing even a hundred thousand kotis of nayutas of Buddha-lands” ( 6th Vow), and “the faculty of knowing the thoughts of others” (the 8th Vow). They are probably “endowed with the body of the Vajra-god Narayana” (26th Vow) or are able to go “anywhere in one instant, even beyond a hundred thousand kotis of nayutas of Buddha-lands” (9th Vow), have the “divine ear of hearing the teachings of at least a hundred thousand kotis of nayutas of Buddhas” and “remember all of them” (7th Vow), worship directly all Buddhas in all the ten directions (24th Vow) and make offerings to them (23rd Vow), “hear spontaneously whatever teachings they may wish” (the 46th Vow), etc. Perhaps they never “give rise to thoughts of self-attachment” (10th Vow) and they are “free of mental hindrances, pure in mind and without indolence.” Perhaps, as Shakyamuni said, “their samsaric bodies and evil passions have been extinguished together with their remaining karmic tendencies” . Maybe “their wisdom is like the ocean, and their Samadhi, like the king of mountains”….. The enlightened qualities of those born in the Pure Land are described in length in the Larger Sutra, so I invite anyone having the illusion that he or she is “here and now” in the Pure Land to carefully read those passages and reflect on them. 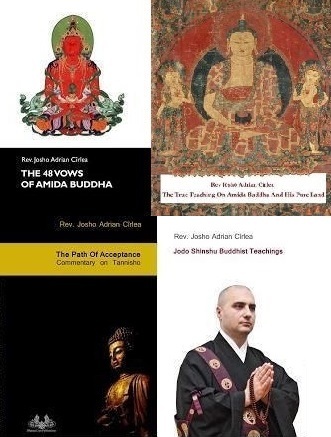 Next, I’ll show you more quotes from various Jodo Shinshu masters who themselves explained the Pure Land to be the realm where Enlightenment is attained. And there are neither evil realms nor evil teachers. One who is born there attains Enlightenment without fail. 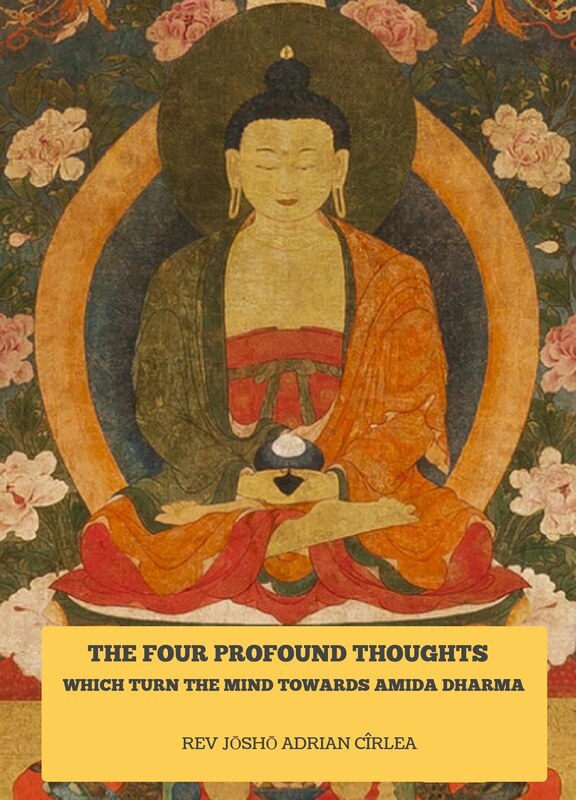 Therefore, I pay homage to Amida Buddha, the most Honored One”. “The land is filled with numerous kinds of fragrance. Its pure sound deeply enlightens beings far and wide. Subtle and wondruous, it is heard throughout the ten quarters. Who is its Dharma-king, fully sustains it. In the world of good of the Mahayana, all beings are equal. When ordinary human beings full of evil passions attain birth in the Pure Land, the karmic bonds of the three worlds will no longer affect them. Even without severing evil passions they will attain the state of Nirvana. “Question: To which of the three worlds does the Land of Peace and Bliss belong? 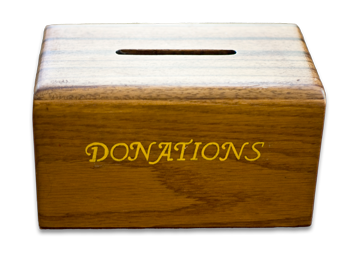 Each one of you should weigh this great benefit and should aspire to go there. “After having reached the Pure Land, you will acquire the six supernatural powers, with which you enter Samsara and guide sentient beings in all future ages”. “All of the teachings that enable one to accomplish Buddhahood in this defiled world of suffering are called the Holy Gate. To realize Enlightenment through contemplating the true nature of all existence; to pursue purification of the six sensory organs through meditating exclusively on the Lotus Sutra; to aspire to the realization of Buddhahood in one’s very existent state through the observance of the three mystic practices; to pursue the four paths to achieve Nirvana; to aspire to attainment of the three transcendent faculties and the six transcendent faculties – these are called the difficult path. In contrast, the teaching of the Pure Land gate begins with the attainment of birth in the Pure Land in the first place, followed by the realization of Enlightenment and Buddhahood there – this is called the easy path”. "If they are born into the Pure Land they are endowed with a superior wisdom and their clear power of mysterious communication reaches unto those who were formerly their benefactors and to those who were their acquaintances through many lives and generations, they can attract them freely. Endowed with a heavenly eye, they can see where they live, and with their heavenly ear they can hear their voice. Their wisdom of destiny enables them to remember the favors (of their former benefactors) and with their insight into others’ hearts they understand their hearts. Their mysterious powers of communication enable them to go where they are, and by changing their form they can adapt themselves to their needs and in various ways teach them and lead them in the way of salvation. And again it is explained in the Byodokyo where we read: “Those who are born in the Pure Land of the West know for themselves where they lived in their previous lives, what was their state and by what causes they are now born into the Pure Land. Since they know everything about the present state of every being that goes and come to and from the Eight Directions and up and down, they understand what the various heavenly beings, birds, beasts and insects think in their minds and the language which they speak." to him. When he looks up into the spacious sky he beholds a wide radiance of sublimity so glorious that heart and words cannot express it, and his eyes lose themselves in the path of clouds. The mysterious voice of the honorable Law is heard and it fills this Land of Treasures. from their seats. Not only this, but they can hear also the things of the infinite past as if they were happening today. They know the inmost thoughts of the beings of the Six Realms as if they were reflected in a mirror. They can go and come freely as if all the lands of the Buddha in all the ten directions lay beneath their feet. They can do anything they please in the realm of infinite space and in the realm of endless time. “They will recite the entire canon in a moment and explain most perfectly the most profound passages. Thus their enjoyment continues without any interruption. Their place is a place of incorruption, and in this pure Land of Pleasure they abide forever and thus have for all time escaped from the terrors of the Three Realms and the Eight Difficulties. Life here is boundless and their state is not subject to birth and death, nor do they endure the four sufferings of birth, old age, sickness and death which characterize human life. not become tarnished even though it is in the mud. Their heart is not stained with the dust of their environment. Their marvelous body of purity and strength is not affected by the sufferings of any and all sufferings combined. They are never injured even though attacked by ten times ten thousand numberless warriors armed with spears and arrows. They are not burned even though they may be in the midst of limitless flames; nor are they drowned though they are submerged in a fathomless ocean. Therefore they can go freely even into the eight Hot Hells and the eight Cold Hells in order to save their relatives from the Three Worlds and the Six Realms. „The monks and laity of this latter age and the religious teachers of these times are floundering in concepts of ‚self-nature’ and ‚mind only’, and they disparage the true realization of Enlightenment in the Pure Land way”. Here the eranda tree symbolizes the three poisons and the three hindrances within sentient beings and the innumerable grave karmic evils they commit. The sandalwood tree represents the thought of the Nembutsu in sentient beings. 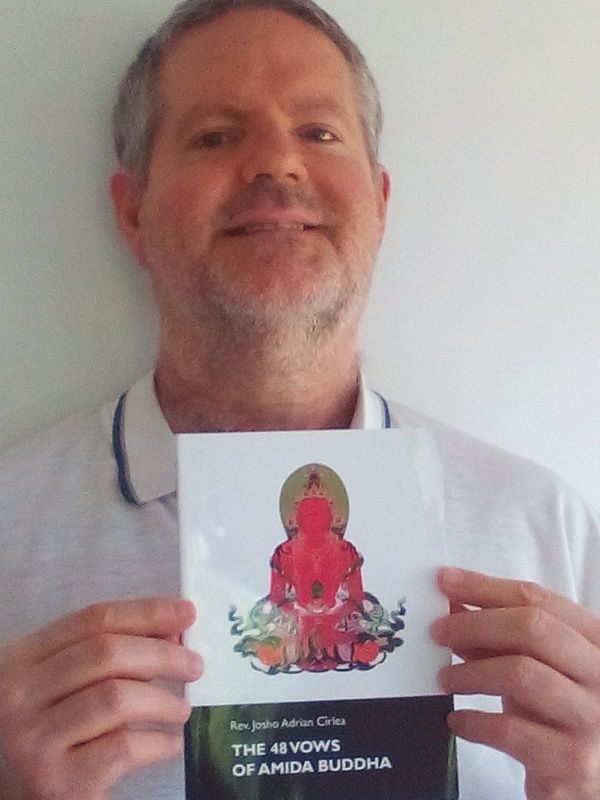 “Is about to grow into a tree” shows that if only sentient beings keep practicing the Nembutsu without interruption, the karmic cause of their birth in the Pure Land is accomplished”. The hymns by Fa-chao, based on the Sutra in Praise of the Pure Land (Sukhavativyuha), quoted by Shinran in his Kyogyoshinsho, chapter II. 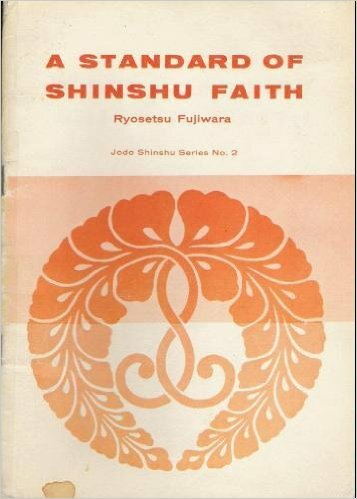 The hymns by Fa-chao based on the Sutra on the Life of the Buddha (Buddha-carita), quoted by Shinran Shonin in his Kyogyoshinsho, chapter II. covered with the dust of evil passions. They will become one with the Dharma-nature body. ‘The people in the Pure Land are sages, and the land is exquisite’. Power, and so birth in the Pure Land is taught. We will realize true Suchness and attain the Dharma body. and transformed bodies to save beings. That attainment is the ‘state of regarding each being as one’s only child’. We will awaken to it on reaching the land of peace. “’The Land of Bliss’ is that Pure Land of happiness, where there are always countless joys and never any suffering mingled with them. It is known as the Land of Peace. It was Master T’an-luan who praised it and called it ‘Land of Peace’. Also, the Treatise on the Pure Land describes it as ‘the Lotus Repository World’ and as the uncreated. “Know that these words proclaim the right cause of birth in the Pure Land of peace to be none other than the nembutsu. ‘Right cause’ is the seed for being born in the Pure Land and unfailingly attaining Buddhahood”. Shinran Shonin, Lamp for the Latter Ages, Letter 2 – Response to an Inquiry from the Nembutsu People of Kasama. „Nirvana is perfect Enlightenment. T’an-luan’s commentary tells of a tree called ’great firmness’. This tree lies buried underground for one hundred years, but when it sends forth shoots, it grows one hundred yards a day. Just as the tree spends one hundred years underground, we abide in this Saha world in the stage of the truly settled. And just as it grows one hundred yards in a single day, such is our attainment of Nirvana." "When a person has entered completely into the Pure Land of happiness, he or she immediately realizes the supreme Nirvana; he realizes the supreme Enlightenment. Although the terms differ, they both mean to realize the Enlightenment of the Buddha who is Dharma-body [ultimate Dharmakaya]. This is known as directing virtue for the sake of our going forth in Birth." It excels all Buddha-lands of the ten quarters." By the karmic power of Dharmakara’s great Vow. 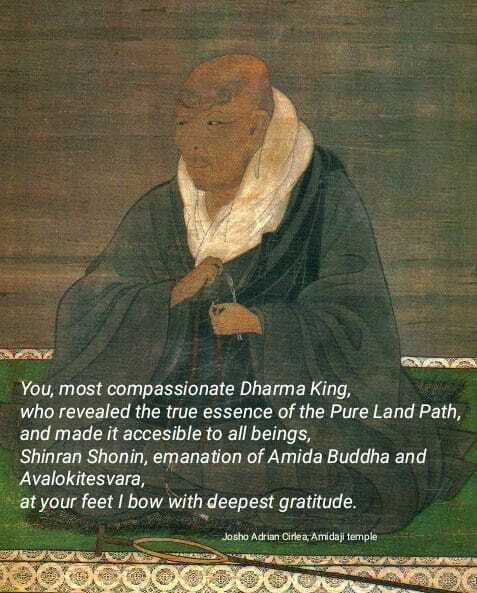 The perfectly enlightened Dharma-king, by which [the land] is embraced." Unlike our world, which appeared due to the collective karma of beings born here, the Pure Land is the effect of the karmic power of Dharmakara’s great Vow. Thus, the Pure Land is not here and now, in this samsaric world. And thereupon realize that birth and death is itself great Nirvana. This is the path of easy practice; it is termed Other Power. Such a person immediately attains the eternal bliss of dharma-nature." "Concerning the directing of virtue through the power of the Primal Vow, the Tathagata’s directing of virtue has two aspects: the directing of virtue in the aspect for our going forth to the Pure Land and the directing of virtue in the aspect for our return to this world." “Question: Should we understand the state of being truly settled and that of Nirvana as one benefit, or as two? 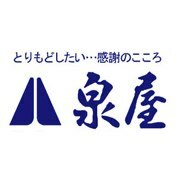 Answer: The dimension of ‘the awakening of the one thought-moment of shinjin’ is that of joining the company of those truly settled’. This is the benefit we gain in the defiled world. Next, it should be understood that Nirvana is the benefit to be gained in the Pure Land. Hence we should think of them as two benefits”. “They are all of one form, without any differences, but are called 'heavenly beings'(devas) and 'humans' simply by analogy with the states of existence in other worlds. They are of noble and majestic countenance, unequaled in all the worlds, and their appearance is superb, unmatched by any being, heavenly or human. They are all endowed with bodies of Naturalness, Emptiness, and Infinity." Those born in the Pure Land are beyond death, so their bodies of manifestations have unlimited life span. Vajra- god Narayana is in fact Vajrapani (from Sanskrit vajra, "thunderbolt" or "diamond" and pani, lit. 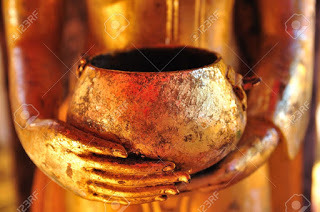 "in the hand"), one of the most important Enlightened Bodhisattvas of Mahayana Buddhism. He is the protector of Buddha Dharma, and He represents the Power of all Buddhas. Just as Samantabhadra Bodhisattva, mentioned in the 22nd Vow, represents the endless saving activity of all Buddhas, Vajrapani represents the immense and all surpassing Power of the Buddhas. Those born in the Pure Land are exactly like these two Enlightened Bodhisattvas. Just like Samantabhadra they are always active in samsara, and like Vajrapani they are all-powerful. And because Vajrapani is a protector of the Dharma, beings in the Pure Land will forever protect it and destroy wrong understandings, which is clearly something those deluded scholars do not do “here and now”, but actually destroy the Dharma with their personal views. The Pure Land Writings, vol I, The Indian Masters, general editor Tokunaga Michio, The Shin Buddhism Translation Series, Jodo Shinshu Hongwanji-ha, Kyoto, 2012, p.42. Kyogyoshinsho – On Teaching, Practice, Faith, and Enlightenment, translated by Hisao Inagaki, Numata Center for Buddhist Translation and Research, Kyoto, 2003, p. 195. Collection of Passages on the Land of Peace and Bliss - AN LE CHI by Tao-ch’o, translated by Zuio Hisao Inagaki, Horai Association International, Singapore, 2015, p 30-31. Lifespan in the Pure Land refers to the transcendent bodies of those born in the Pure Land. Such a body will have no end. Accordingly, he can manifest freely in all the worlds to save sentient beings. The Eight Difficulties are: 1. Blindness and Deafness, 2. Worldly Wisdom (because tempted by it), 3. Being born before or after a Buddha appears in the world, 4. Happiness in Hokurashu (a pleasant land in China. One becomes so engrossed with the pleasures in this land that one fails to listen to the Buddha and so misses eternal life, 5. the Happiness of long life on earth (since this keeps one from Buddha’s salvation), 6. Existence in Hell, 7. Existence in the Realm of Hungry Spirits, 8 Existence in the Realm of Beasts. Sufferings combined. This is the eight of the Eight Difficulties, namely: 1. Birth, 2. Old Age, 3. Sickness, 4. Death, 5. Hatred, 6. Separation, 7. Frustration of one’s desire, 8. The combination of the preceding seven sufferings. 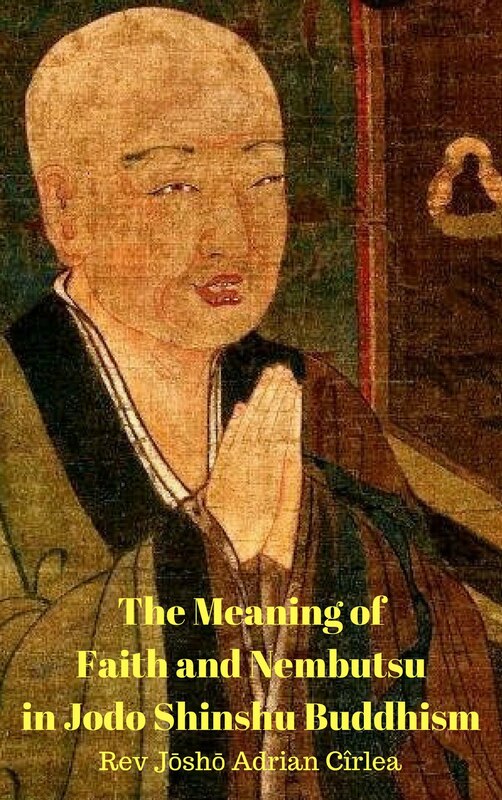 Kyogyoshinsho – On Teaching, Practice, Faith, and Enlightenment, translated by Hisao Inagaki, Numata Center for Buddhist Translation and Research, Kyoto, 2003, p. 29-30. The Collected Works of Shinran, Shin Buddhism Translation Series, Jodo Shinshu Hongwanji-ha, Kyoto, 1997, p. 350.